Wow, it's that time of the year again! In just a few days, Valentine's Day will be here. Valentine's Day cards are easy to purchase, however, showing that you've added that extra special touch really says something! 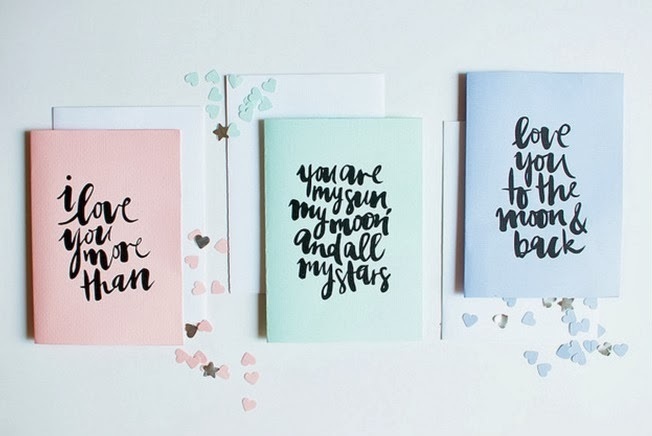 A Pair and A Spare has teamed up with Jasmine Dowling to create these beautiful and elegant DIY Valentine's Day Cards. Print them at home and let your imagination run wild as you complete the above statements of love on the inside of the card! Get funky, get creative and of course, recycled paper and cardboard is always best. Follow the link below to download these gorgeous cards...now!